We think that happiness is more … Details are woven tightly together until the big picture. The good life is not just a part … But is that all elements of life. From residential, office, and that allowed us to meet people or to relax the body and mind. To fulfill in all aspects. The nature of life, technology and interconnected. You have a ready connection to everything. All the remote connection with its near Natural connection … Relax on the large green areas both inside and outside the project. Connected to each other … The neighbors have become strangers. With space design The privacy or engage you choose. Connection technology … The life easier. Connection … happy every day with Bangkok’s new Lifestyle Community. To fulfill all the demands of life. Connect all aspects of the Whizdom connect. Connect to any location with the Punnawithi BTS skytrain station right outside your front door. 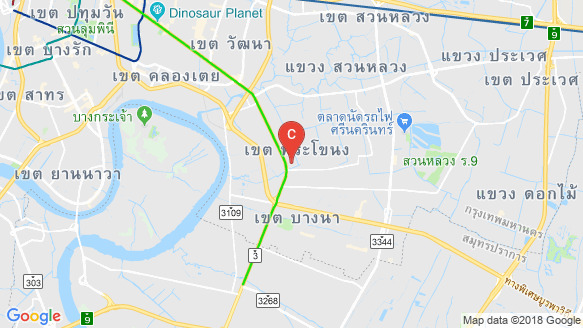 Enjoy easy access to two expressways, connection to the Samrong-Ladprao monorail, the Bangna-Suvarnabhumi LRT and a planned BTS extension to Samutprakan. Minutes from home, you’ll find department stores, hypermarkets, international schools, hospitals, as well as the Bangkok International Trade and Exhibition Center (BITEC) in Bangna. It truly will be the new center of Bangkok.